Way back in this post I mentioned I was thinking of dyeing my dreads. Well, guess what I finally got around to doing last weekend? It came out a bit darker than I wanted, but overall I'm pretty happy with it. 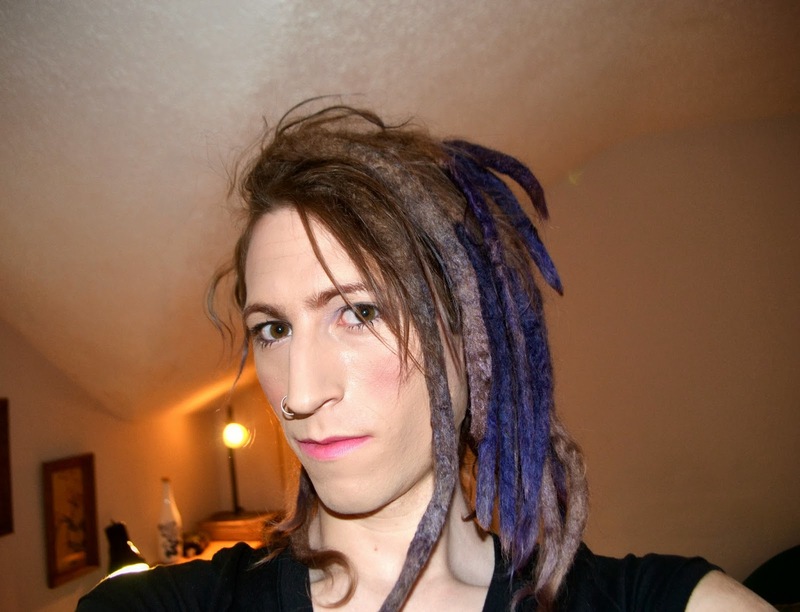 When I started crossdressing I wondered whether dreadlocks would be feminine enough. I considered cutting them off and using a wig until my hair grew long again. Then I learned of the beautiful and talented film director Lana Wachowski— and watched this— and realized a trans woman can actually look great with dreadlocks! And so far that knowledge has kept my scissors at bay. Well, that and the fear that having short hair would seriously aggravate my gender stress. It's funny: I often forget I have an unconventional appearance. Sometimes I'll be out walking somewhere and wondering, "Why does every one keep looking at me? Do I have something on my face or what?" Nope, I just look different, that's all. Today was a very different day than yesterday. Yesterday I was as depressed as I've ever been about my gender. I managed to go to my classes but otherwise pretty much spent the day in bed. Today however, I set aside time to get all pretty, (and took the photos you see here), and I feel so much better having done so. 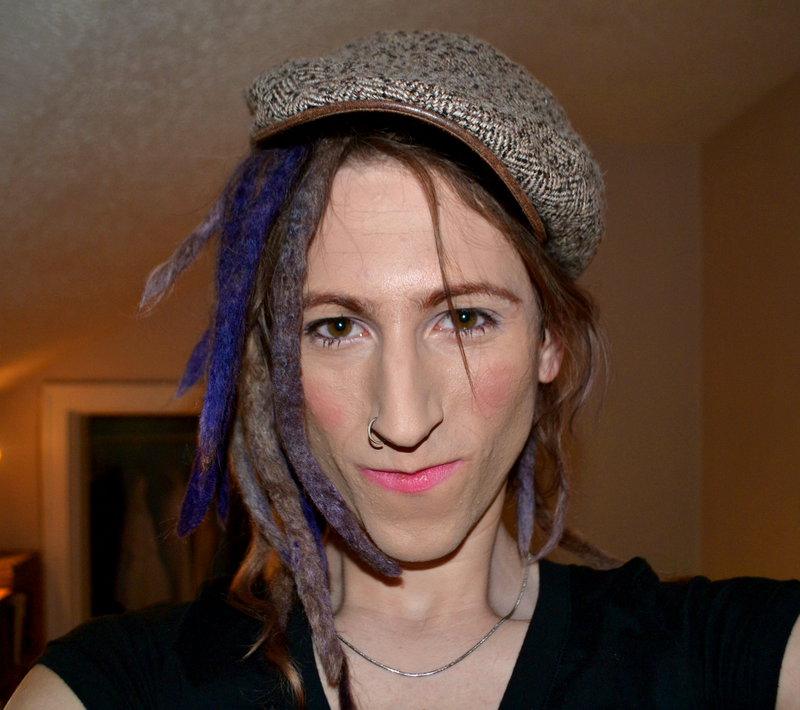 It was the first time I'd fully crossdressed in over a month. I guess expressing my gender makes me happy!